Chinese Ministry of National Defence spokesperson Wu Qian called allegations against the company “groundless”, according to Global Times, a Communist Party-run newspaper. The response comes after UK Defence Secretary Gavin Williamson recently said he had “very deep concerns” about the Chinese company’s involvement in the UK’s roll out of 5G. “I have grave, very deep concerns about Huawei providing the 5G network in Britain. It’s something we’d have to look at very closely,” Mr Williamson said in comments reported in The Times earlier this week. Huawei’s chairman has also spoken out about the company’s “incredibly unfair treatment” in a new year’s message. “We must not be discouraged by malicious incidents or temporary setbacks, and must remain determined to achieve global leadership,” Guo Ping said. Mr Ping said that Huawei is ahead of rivals and that countries who choose not to work with them on 5G will be like “an NBA game without star players”. “The game will go on, but with less deftness, flair, and expertise,” he explained. Australia, New Zealand and the US have already restricted use of Huawei technology in 5G mobile networks. 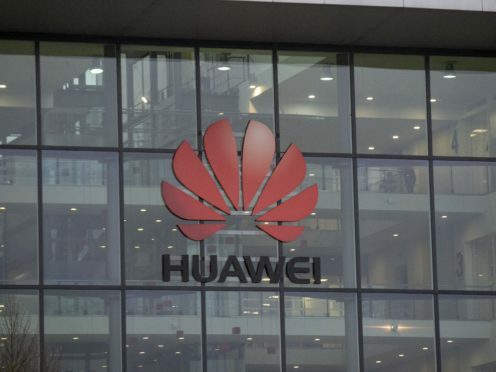 Huawei was founded by a former officer in the People’s Liberation Army and questions have previously been raised about possible improper links to the Chinese state, something Huawei has always denied. Earlier this month, the head of MI6, Alex Younger, said the UK would have to make “some decisions” about such firms after other governments had taken steps to block Huawei. BT is in the process of removing Huawei equipment from the key parts of its 3G and 4G networks to meet an existing internal policy not to have the Chinese firm at the centre of its infrastructure.